Puerto Rican international brings seven years and over 125 matches of MLS experience to Republic FC. SACRAMENTO, Calif. – Sacramento Republic FC have completed arrangements by which the club will receive defender Jeremy Hall on loan from the Tampa Bay Rowdies (NASL). Hall played seven seasons in MLS with the New York Red Bulls, Portland Timbers, FC Dallas, Toronto FC and New England Revolution. He made 127 appearances in his seven seasons including 108 starts. Hall scored two goals and recorded six assists in 9,782 career MLS minutes. Hall has also made three appearances with the Puerto Rica Men’s National Team. Most recently he started and played a full 90 minutes against the United States Men’s National Team on May 22, 2016. Hall has joined Republic FC prior to their match against Vancouver Whitecaps FC 2 on July 24. 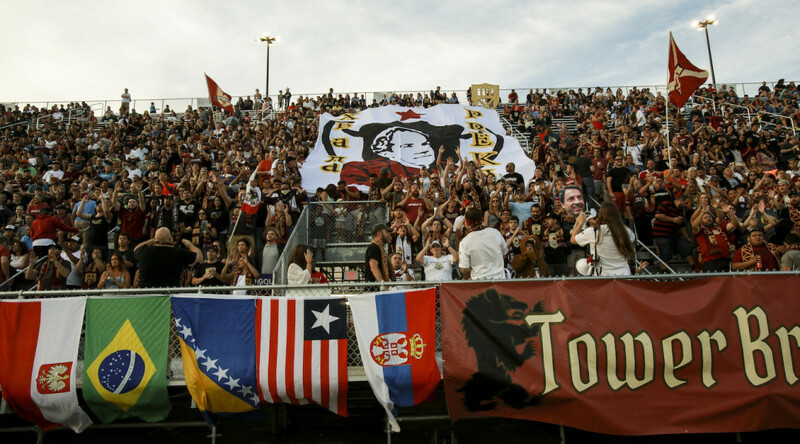 The match will be the third in a stretch of five consecutive road matches for Republic FC. Kickoff is 2 pm. The match will be streamed live at SacRepublicFC.com/matchday.